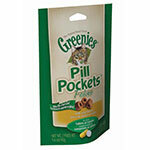 Make ADW Diabetes your choice for healthy treats for your cat. 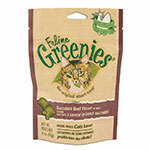 ADW offers feline treats from brands Greenies and CET Chews. These treats are not only tasty for your pet, but they also offer benefits such as teeth cleaning, hairball and digestive remedies, and help with the administration of medication. ADW Diabetes offers low pricing, fast shipping, and discounted case packs for your convenience. Shop with ADW and save up to 60% off retail prices.